You’ve heard it proudly proclaimed: “Cotton is the fabric of our lives.” Can you imagine a world without cotton? As you read this, you are most likely wearing something woven from the fibers of the cotton plant. Cotton as a fiber has a rich and fascinating history, dating back 7,000 years. Archaeologists in 1929 discovered fragments of cotton textiles at Mohenjo-Daro in what is now Pakistan. It was in this area, dating back to 3250 and 2750 BC, that cotton was first spun and woven into fabric. Only half a millennium ago, in an area known today as Mexico, the indigenous people grew cotton and used it to make cloth. The process of making of cloth out of cotton fiber was crude and painstakingly slow—basically, the fibers were beaten down into a mat. The manufacture of textiles has evolved since those early discoveries. Over the years, innovations in processing have made textiles feel and look better, while adding strength and longevity. We at Domestic Uniform Rental have been at the forefront of textile production, offering our customers new and improved products designed to enhance performance. Take, for example, our terry products which are manufactured using modern spinning methods. 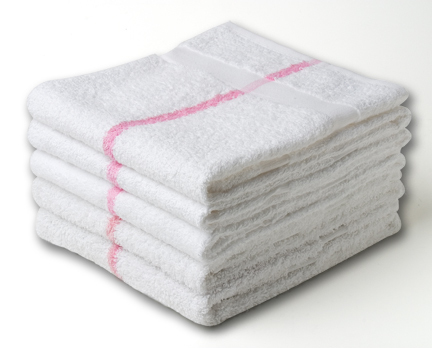 In contrast to some manufacturers who still use open-end rotor spinners and utilize cotton waste, yarns for our towels are made using ring spun processing. This process utilizes virgin cotton and adds 20% more twist in the yarn creating higher strength. Three yarns are utilized in the weaving of towels: the warp is a longitudinal (or vertical) strand which forms the ground; the weft is latitudinal (or horizontal) strands which are woven under and over the warp; and the third—the pile—is what we touch and feel in a towel. Domestic proudly offers our new and improved, cotton-rich Counter Steamers, Beauty Steamers, Bath Towels, and Kitchen Towels for our customers. 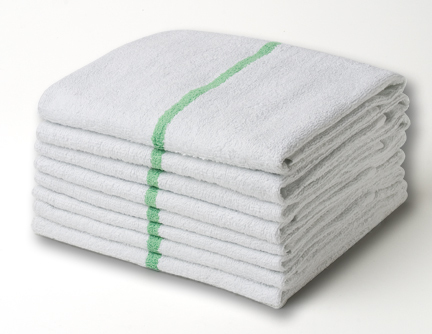 These towels are made with a better grade of cotton than what is found elsewhere in our the industry. 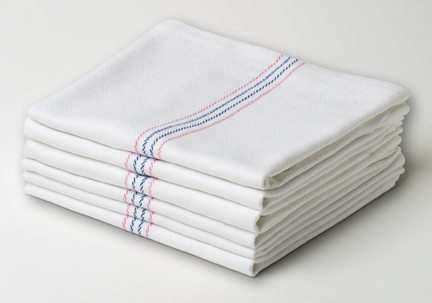 Compared to typical bar towels, our towels are over 50% heavier and three times as strong as the industry norm. Whiter to help promote a clean image for your facility. All towels are not created equally. Discover the difference by trying them yourself.